I. What Is “Slack Fill” And How Is It Regulated? Slack-fill is the difference between the actual capacity of a container and the volume of product contained therein. The concept is grounded in the federal Food, Drug, and Cosmetic Act (FDCA) and its implementing regulations. The FDCA itself doesn’t expressly mention slack-fill, but it provides that a food, drug, or cosmetic is “misbranded” (i.e., violates the Act) if “its container is so made, formed, or filled as to be misleading.” 21 U.S.C. §§ 343(d) (foods), 352(i)(1) (drugs), 362(d) (cosmetics). In theory, at least, this could encompass some instances of slack-fill. The [FDCA] … prohibits the shipment of a package of candy which is in fact so slack-filled as to be misleading…. [But] [i]nfantile anticipation is not the test. Rather it is what would be expected by an ordinary person … who has been led to expect and desire machine-packing…. [F]rom buying various types of five-cent candies, cough drops, and lozenges packed by machine in standard rectangular containers, [the ordinary consumer] has come to expect some slack or air space. Indeed, he recognizes that tight packing would often solidify into a mass pieces which he prefers to have separate. It is the expectations of a person who has that common degree of familiarity with our industrial civilization which furnish the standard…. Arden, 80 F. Supp. at 912 (emphasis added). Chastened, the FDA stopped bringing slack-fill cases altogether after 1962. There things remained for three decades. Then, in 1990, Congress passed the Nutrition Labeling and Education Act, Pub. L. 101-535, 104 Stat. 2353, substantially overhauling the country’s food labels. That statute also directed the FDA to study whether the FDCA’s various provisions were being adequately enforced in relation to foods. See 58 Fed. Reg. 2957, 2957 (Jan. 6, 1993). The FDA concluded that § 343(d)’s general prohibition against “misleading” food-container fill was inadequate and essentially unenforceable, and so it proposed food-specific slack-fill regulations. Id. at 2798. Again, however, these regulations apply to foods only. The FDA has never adopted slack-fill regulations for non-food products, such as drugs and cosmetics. For these products, the only arguable FDA requirement concerning empty space remains the general statutory prohibition of “misleading” container fill. The FDCA and its regulations provide no private right of action, so consumers can’t sue directly to enforce the statute’s prohibition on “misleading” fill or its food-specific slack-fill regulations. See Wurtzburger v. Ky. Fried Chicken, 2017 U.S. Dist. LEXIS 205881, at *10-11 (S.D.N.Y. Dec. 13, 2017). Consumers, therefore, generally bring their slack-fill claims under state consumer-protection statutes or state common-law theories, arguing that these causes of action incorporate or mirror the standards found in the FDCA and its regulations. See id. II. What Are Courts Doing With Slack-Fill Cases? As noted above, after decades of FDA non-enforcement, slack-fill has recently risen to prominence due to the efforts of enterprising plaintiffs’ lawyers. To give some sense of the trajectory, a Lexis search for court decisions mentioning slack-fill shows that over half of all judicial mentions have come in the last three years alone. While a few courts were initially willing to let these suits proceed to discovery, they have increasingly met with the same judicial resistance faced by the FDA’s enforcement actions of yesteryear. As noted, only “nonfunctional” slack-fill violates the FDA’s fill regulations for foods. Thus, to get past a motion to dismiss, plaintiffs must plausibly plead that the empty space in a food product’s package does not serve one of the regulation’s six specified “functions.” Courts are now routinely subjecting allegations of nonfunctionality to rigorous scrutiny and dismissing complaints if those allegations are “wholly conclusory.” Bautista v. CytoSport, Inc., 223 F. Supp. 3d 182, 190 (S.D.N.Y. 2016); see also Morrison v. Barcel USA, LLC, No. 18-CV 531, 2019 U.S. Dist. LEXIS 1090, at *6-7 (S.D.N.Y. Jan. 2, 2019); Daniel v. Mondelez Int’l, Inc., 287 F. Supp. 3d 177, 187-88 (E.D.N.Y. 2018); Alce v. Wise Foods, Inc., 2018 U.S. Dist. LEXIS 54009, at *18-19 (S.D.N.Y. Mar. 27, 2018); Wurtzburger, 2017 U.S. Dist. LEXIS 205881, at *11-12. 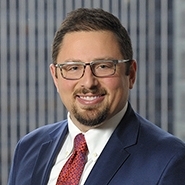 To survive dismissal, plaintiffs must plead actual facts demonstrating, e.g., “that the slack-fill in the [product] is unnecessary to protect the [contents], or does not reflect the requirements of the machines used for enclosing the packages, or is not the result of unavoidable product settling, or is not the consequence of an inability to increase the level of fill or to further reduce the size of the package.” Alce, 2018 U.S. Dist. LEXIS 54009, at *19-20 (emphasis added). Courts recognize that “[i]t may be challenging for a plaintiff” to plead concrete facts supporting a finding of nonfunctionality “before discovery”—but they have held that Iqbal’s plausibility standard requires no less, because a bare assertion of nonfunctionality is a legal conclusion, not a proper factual allegation. Id. at 19 (quoting Bautista, 223 F. Supp. 3d at 191). 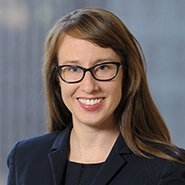 Plaintiffs sometimes try to end-run the need to plead nonfunctionality by alleging that some of a package’s empty space must be nonfunctional because another company packages a similar product using less empty space. For example, in one recent case, the plaintiff asserted that a bag of chips with 59% empty space must contain some non-functional slack-fill because another company sold a bag of chips with only 43% empty space. See Morrison, 2019 U.S. Dist. LEXIS 1090, at *7. But the court was not persuaded. See id. at *7-8. It noted the FDA’s guidance that “there is significant variability in the amount of the slack-fill in packages, both between and within commodity classes and even within a single-product line”—rendering such superficial comparisons unhelpful. Id. (quoting Alce, 2018 U.S. Dist. LEXIS 54009, at *21 (in turn quoting Misleading Containers; Nonfunctional Slack-Fill, 58 Fed. Reg. 64123, 64135 (Dec. 6, 1993))). This is because even modest variations in package dimensions, slight differences in product size and formulation, different manufacturing equipment, and different distribution methods may genuinely require different amounts of slack-fill, even for similar-seeming products. Morrison, 2019 U.S. Dist. LEXIS 1090, at *8-9. Even if slack-fill is nonfunctional, that’s not the whole ballgame. Nonfunctionality may establish a violation of the FDA’s food-specific slack-fill regulation—but, as noted above, consumers lack the power to enforce that regulation. Instead, they must sue under state consumer-protection statutes or state common-law theories. And those causes of action usually require more than a naked regulatory violation. See Daniel, 287 F. Supp. 3d at 190 (“non-functional slack fill as defined by the FDCA … [is] not [a] per se … [violation]” of New York consumer protection law). Rather, they require a showing that reasonable consumers would be misled or deceived by the challenged practice. See id. at 192; accord Ebner v. Fresh, Inc., 838 F.3d 958, 965 (9th Cir. 2016) (same for California consumer protection laws). This is where the FDA’s mid-century enforcement actions foundered—and modern-day slack-fill suits have the same fundamental problem. For example, a New York district court recently dismissed a slack-fill suit involving packaged candy, “easily conclud[ing], as a matter of law, that the slack-fill … would not mislead a reasonable consumer.” Daniel v. Tootsie Roll Indus., 2018 U.S. Dist. LEXIS 129143, at *31-34 (S.D.N.Y. Aug. 1, 2018). First, the “weight of the candy enclosed [was] prominently displayed on the front of [the] box….” Id. Second, “consumers [could] easily calculate the number of candies contained in the Product boxes simply by multiplying the [indicated] serving size by the [indicated] number of servings in each box….” Id. And third, “consumers are not operating on a tabula rasa with respect to their expectations of product fill.” To the contrary, “[b]ecause of the widespread nature of [slack-fill], no reasonable consumer expects the … overall size of the packaging to reflect directly the quantity of product contained therein.” Id. Consumer protection laws, the Court concluded, “simply do not provide the level of coddling plaintiffs seek.” Id. Other judges have dismissed slack-fill claims at the threshold for the same reasons, refusing to “attribute to consumers [the] level of stupidity” that slack-fill plaintiffs would ascribe to them. Daniel, 287 F. Supp. 3d at 192 (reasonable consumers not be deceived where package “disclos[es] … net weight and quantity”); see also Alce, 2018 U.S. Dist. LEXIS 54009, at *25-28 (it “defies logic” that reasonable consumers would be deceived, since “the weight of the chips enclosed [was] prominently displayed” and consumers “expect significant slack-fill in … snack products”); Miao Xin Hu v. Iovate Health Scis. U.S.A. Inc., 2018 U.S. Dist. LEXIS 176206, at *5 (S.D.N.Y. Oct. 11, 2018) (reasonable consumers not misled because container “discloses … the actual amount of protein powder in each package”); Fermin v. Pfizer Inc., 215 F. Supp. 3d 209, 212 (E.D.N.Y. 2016) (allegation that reasonable consumers are misled despite pill count on label “does not pass the proverbial laugh test”); Bush v. Mondelez Int’l, Inc., 2016 U.S. Dist. LEXIS 140013, at *7-8 (N.D. Cal. Oct. 7, 2016) (reasonable consumers not deceived because labels “disclose the net weight of included product, as well as the number of cookies or crackers per container” and “slack-fill … [is] common in the snack market”). Some of these courts have speculated that there may be “exceptional circumstances” where a reasonable consumer could be misled by slack-fill, notwithstanding accurate net-weight or product-count disclosures, and notwithstanding “the existence of slack-fill in almost all products.” Daniel, 2018 U.S. Dist. LEXIS 31074, at *192 & n.14. But whatever those circumstances may be, plaintiffs have not yet found them. When it comes to over-the-counter drugs and cosmetics, manufacturers may have an additional defense: preemption under the Supremacy Clause. The FDCA contains broad express-preemption clauses that forbid the states from “establish[ing] … any requirement” for the labeling or packaging of over-the-counter drugs or cosmetics “that is different from or in addition to, or … not identical with,” the requirements of the FDCA. 21 U.S.C. §§ 379r (OTC drugs); 379s(a) (cosmetics). As noted above, the FDA has promulgated slack-fill regulations only for foods. Some courts have concluded that “[t]he FDA’s silence on slack-fill in cosmetics and nonprescription drugs is tantamount to a conscious decision by the agency to permit it.” O’Connor v. Henkel Corp., 2015 U.S. Dist. LEXIS 140934, at *15 (E.D.N.Y. Sep. 21, 2015). If so, then any state-law claim asserting a slack-fill violation by a cosmetic or over-the-counter drug manufacturer would amount to a prohibited departure from the FDCA’s standards. See id. (dismissing on preemption grounds slack-fill case involving deodorants); see also Bimont v. Unilever U.S., Inc., 2015 U.S. Dist. LEXIS 119908, at *16 (S.D.N.Y. Sep. 9, 2015) (same). One might respond that, even without regulations specifically addressing slack-fill, the FDCA itself still prohibits drug and cosmetic containers “filled so as to be misleading.” 21 U.S.C. §§ 352(i)(1) (drugs), 362(d) (cosmetics). That is true. However, as Bimont explained, “the FDA was given a specific invitation” by Congress “to regulate slack-fill,” but chose only to regulate slack-fill in foods. Under these specific circumstances, the court concluded, “[t]he FDA’s failure” to regulate slack-fill in drugs and cosmetics “constitutes strong evidence that the FDA considered the issue … and decided that slack-fill in those products is insufficiently misleading.” Id. at *15-16. To the extent slack-fill plaintiffs seek injunctive relief—such as an order requiring changes to a manufacturer’s containers—they lack standing almost by definition. Plaintiffs must establish standing separately for each form of relief they seek, and standing to pursue prospective relief requires a showing of “imminent” future injury. Even assuming, for argument’s sake, that reasonable consumers can be deceived once by a slack-filled product, they cannot be deceived twice by the same slack-filled item, since once they have purchased it, they know what to expect. See McNair v. Synapse Grp., Inc., 672 F.3d 213 (3d Cir. 2012); Nicosia v. Amazon.com, Inc., 834 F.3d 220 (2d Cir. 2016); Conrad v. Boiron, Inc., 869 F.3d 536 (7th Cir. 2017). This is true even in the Ninth Circuit, where the wrongly-decided Davidson v. Kimberly-Clark Corp., 889 F.3d 956 (9th Cir. 2018), holds that a plaintiff who is wise to the defendant’s deception sometimes does have standing to seek an injunction. As our co-bloggers recently noted, Davidson applies only in the “limited circumstances” where the consumer “credibl[y] alleg[es] that she intends to purchase the product again” but “is unable to determine whether [the product] remains deceptive.” These circumstances will seldom, if ever, exist in a slack-fill suit. For example, in a case involving bags of pretzels, one court in the Ninth Circuit distinguished Davidson, noting that the “nature of the deception” in a slack-fill case “is quite different” than that alleged in Davidson (i.e., that hygienic wipes advertised as “flushable” could cause plumbing obstructions). Cordes v. Boulder Brands USA, Inc., 2018 U.S. Dist. LEXIS 217534, at *10-13 (C.D. Cal. Oct. 17, 2018). As the Cordes court observed, “[once a] Plaintiff is on notice about potential underfilling, he could easily determine the number of pretzels in each package before making a future purchase”—and avoid being deceived again—“simply by reading the back panel” or by “feel[ing] the bag.” Id. Accordingly, it should be vanishingly rare that a slack-fill plaintiff has standing to seek injunctive relief, even in the Ninth Circuit. Lastly, even if a slack-fill case somehow gets past a motion to dismiss, a potentially greater hurdle remains. These cases are invariably brought as putative class actions, but it appears that no court has ever certified a slack-fill claim for class treatment. Indeed, one wonders how a slack-fill class could ever be certified. As noted above, even if a reasonable first-time buyer might be deceived by a product’s empty space, countless consumers repeatedly purchase the same slack-filled products, thus demonstrating lack of materiality, causation, reliance, and/or injury as to themselves. And many consumers go on purchasing that slack-filled product for many years, subjecting themselves to a statute-of-limitations defense as well. Winnowing out the precious few buyers who might conceivably have a valid claim would be an individualized and laborious exercise—exactly the situation where class certification is inappropriate. As such, it’s not surprising that every slack-fill case to reach the class-certification stage has flunked Rule 23’s rigorous test for certification. See Spacone v. Sanford, L.P., 2018 U.S. Dist. LEXIS 153916, at *28-29 (C.D. Cal. Aug. 9, 2018) (denying certification in slack-fill case involving glue, where survey showed that over 75% of class members were “repeat … purchasers,” and “separat[ing] repeat purchasers … from first-time [buyers] who could assert … injury” would take individualized inquiry); White v. Just Born, Inc., 2018 U.S. Dist. LEXIS 132466, at *7-*10 (W.D. Mo. Aug. 7, 2018) (denying certification in slack-fill case involving candies, because many consumers “‘knew about’ the [slack-fill] and ‘purchased … [the] products anyway,’” necessitating “individual inquiries into whether each class member was deceived”); Turcios v. Carma Labs., Inc., 296 F.R.D. 638, 646 (C.D. Cal. 2014) (denying certification in slack-fill case involving lip balm, where “some consumers were aware of” the slack-fill “and continued to purchase,” such that “materiality and reliance [were] individualized question[s]”). Slack-fill cases are lawsuits that only a plaintiff’s lawyer could love. Courts found them vacuous back when the FDA brought them, and courts are once again signaling—in many different ways—that they have had their fill. (Puns, of course, intended.) Indeed, few other liability theories have elicited such incredulity from the bench: “stupidity,” “coddling,” “defies logic,” “does not pass the proverbial laugh test.” One day soon, perhaps the slack-fill specialists will move on, and these substanceless suits will vanish… into thin air. In addition to the FDCA, the federal Fair Packaging and Labeling Act, 15 U.S.C. § 1471 et seq., authorizes the FDA and the Federal Trade Commission (FTC) to promulgate regulations regarding “non-functional slack-fill of packages containing consumer commodities” if those agencies deem it necessary to prevent consumer deception. Id. § 1454(c)(4). They have expressly declined to do so. The FDA “chose not to promulgate such regulations” because, in its view, they “would serve no useful purpose.” 58 Fed. Reg. 2957, 2960 (Jan. 6, 1993). The FTC “decline[d]” to promulgate slack-fill regulations because it found no evidence of “wide-spread marketplace deception.” 80 Fed. Reg. 5491, 5494 (Feb. 2, 2015). Some states—most prominently, California—have adopted their own slack-fill laws that generally parallel federal standards. See, e.g., Cal. Bus. & Prof. Code §§ 12606, 12606.2. As discussed in the text, the FDCA may preempt these state slack-fill laws to the extent they do not precisely track federal law.